Dr. Lauren Marsden qualified from The Royal Veterinary College, London, with a Bachelor’s Degree in Veterinary Medicine and was admitted into the Royal College of Veterinary Surgeons in 2013. She enjoys all areas of general practice and has a special interest in dermatology. She spent 2 years volunteering with an animal welfare organisation in Cambodia before founding the VSL Veterinary Clinic in Phnom Penh. 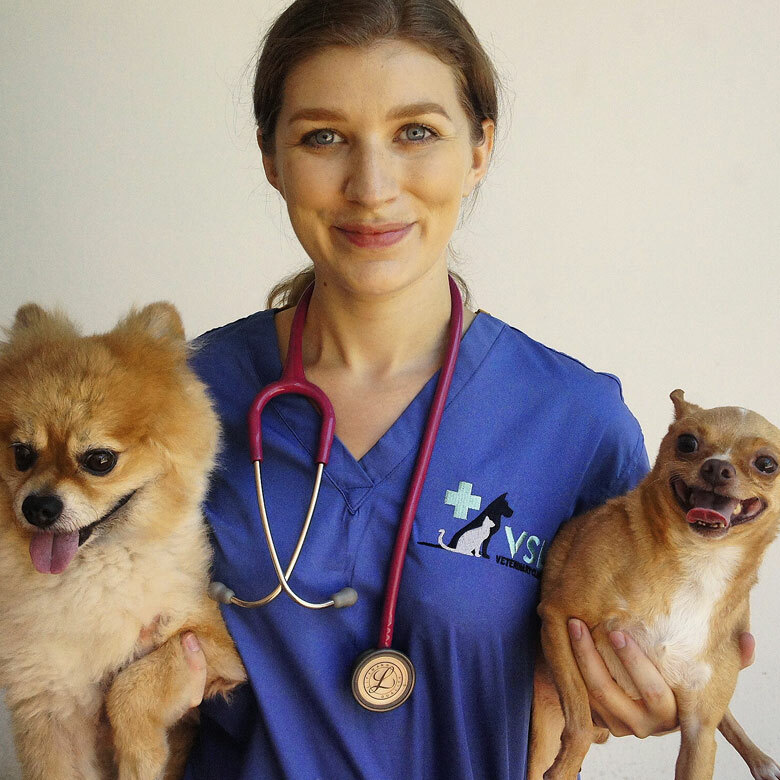 In her spare time, Dr. Lauren can be found adventuring all over Cambodia with her 2 rescue dogs, Money and Bambi!